There’s just something special about honey with chicken, but put with orange as well makes it irresistible. Chicken pieces are so quick and easy to cook and are great as a serve yourself dish to place on the table. 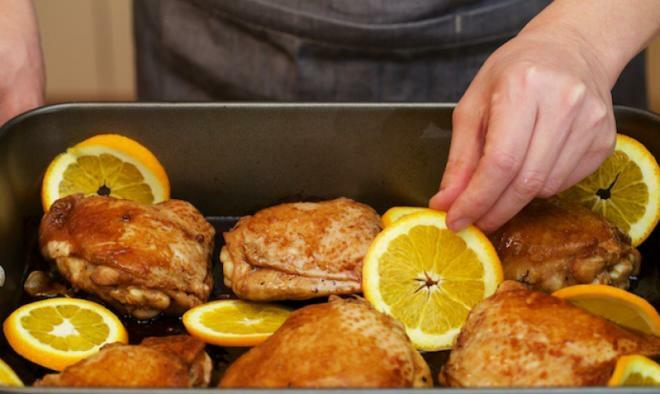 You can turn a boring chicken roast into a sweet and satisfying treat with today’s Honey and Orange Roast Chicken recipe. You only need 45 minutes to create a dinner with a very grand atmosphere. 45 minutes including marinating and roasting is unheard of with a whole chicken, but with chicken pieces, you can easily get the dinner done. 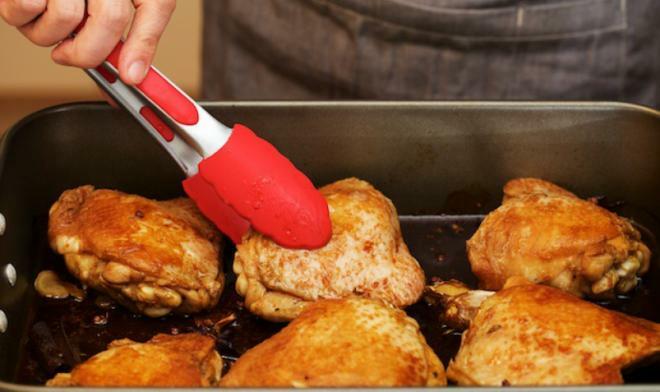 Here I use the chicken thigh bones which, of all the parts of the chicken, hold the best flavor and are the most suitable for baking. 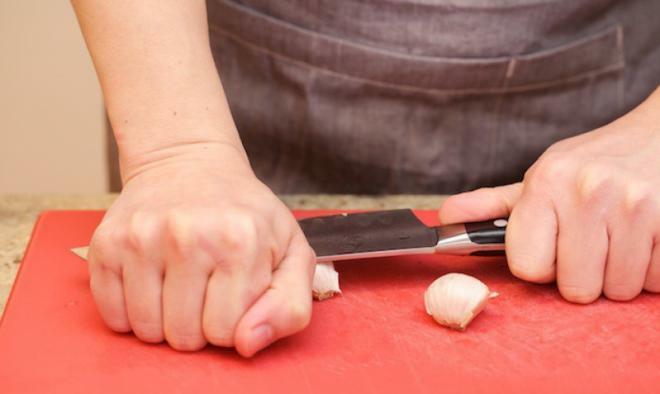 The consistent shape means marinating and cooking will also be consistent. 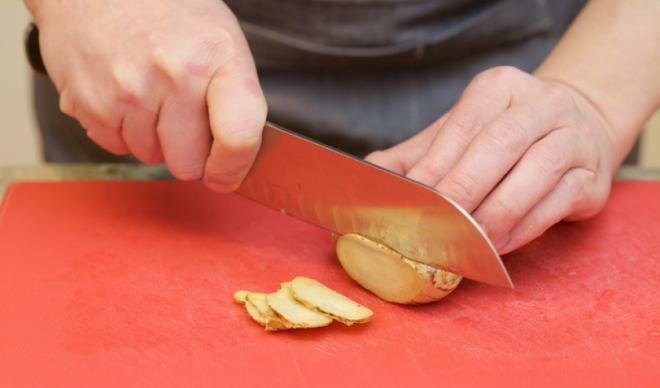 No need to peel the garlic, just crush it with the side of a knife: place the flat of the knife firmly on top of the garlic clove, so it doesn’t slip and press down until it cracks. 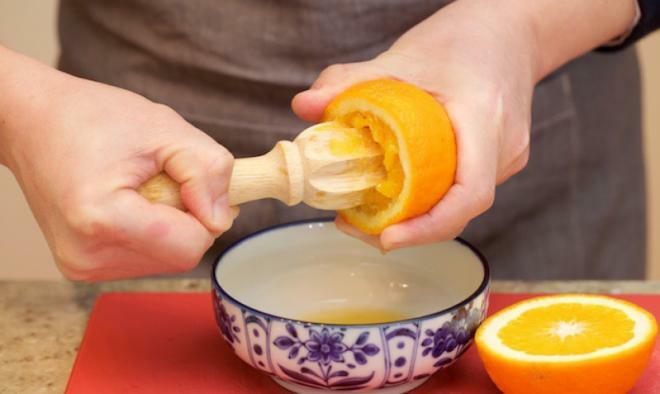 Using a citrus juicer, squeeze 60 ml of fresh juice from an orange into a bowl. If the orange is large, it should produce enough, however, if it is small, you will need two. 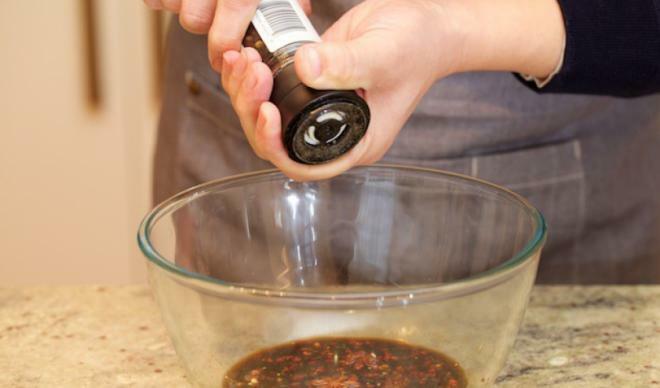 To make the marinade, add the dark soy sauce, Chinese red Sichuan pepper, cinnamon, star anise, and the black pepper to the bowl of orange juice, and mix evenly. Put the chicken thighs into the bowl and coat well with the marinade. Next, add the ginger and garlic mix in evenly. Cover the bowl with plastic wrap and put it into the refrigerator for 10 minutes to take up the flavors. If you have time, marinate it for longer (overnight or up 24 hours) and you will get a tastier result. 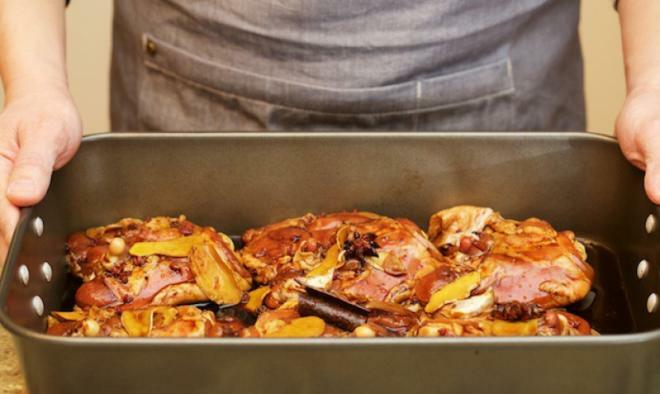 Take a deep 38 cm x 27 cm baking pan, and place the chicken thighs in skin side down so that all the juices will be preserved in the pan. Place the baking tray in the preheated oven and bake for 15 minutes. 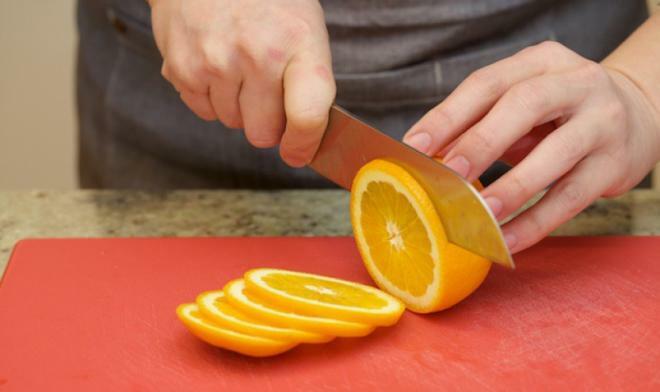 While the chicken is roasting, cut an orange into thin slices. After 15 minutes, remove the baking tray from the oven and turn all the chicken thighs over, so the skin is face up. Pour the honey evenly over the chicken skin. 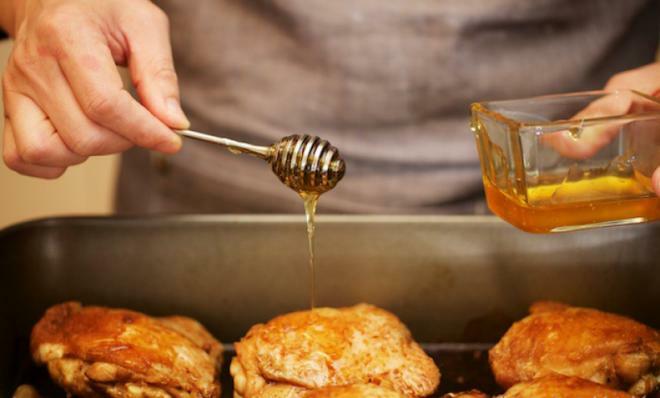 This layer of honey not only increases the flavor and colors the chicken skin, but it also makes the sauce sticky. 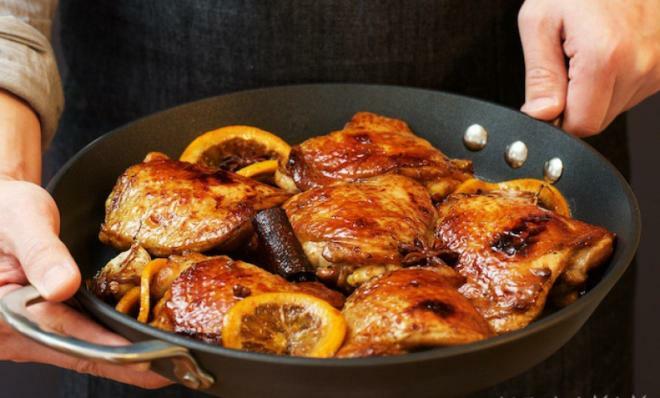 Place the orange slices between the chicken thighs, being careful not to cover the chicken, so the color is not to affected. Put the baking tray back into the oven and bake for another 15 minutes. 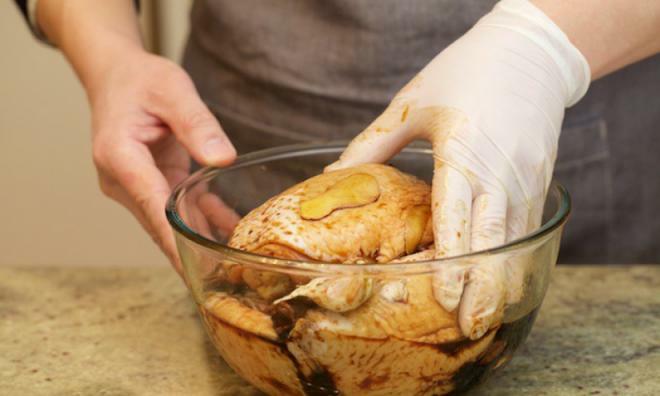 In the last 5 minutes check the color of the chicken skin, and once it is a reddish brown, take it out of the oven, so it doesn’t burn. Arrange the baked chicken thighs with the sauce in a serving dish and take it to the table so your guests can serve themselves. Although the marinating time is only 10 minutes, the sauce will continue to season the chicken during the 30 minutes of cooking time, and the marinade will richen to make a fragrant, sweet and sticky sauce, taking the ordinary roast chicken to a higher level. 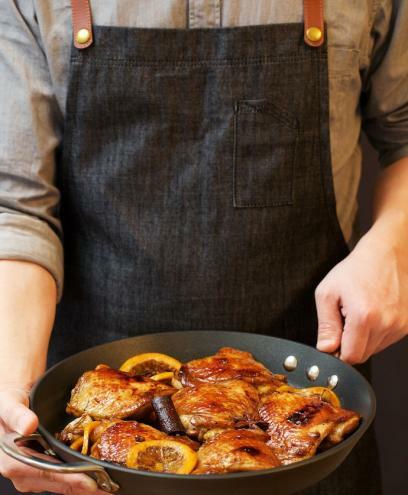 Take roast chicken to a new level with my sweet and sticky Honey and Orange Baked Chicken, filling your kitchen with fragrance and your stomach with joy! This article is written by Tiana Matson, lover and creator of delicious and wholesome oriental food.